RUSH: Snerdley is asking me if I’m gonna comment on the Apple story. The Securities Exchange Commission and somebody else supposedly investigating Apple for the policy they implemented to slow down people’s processors on older phones because the conspiracy theory is that Apple has been purposely doing that to “obsolete” phones so as to encourage people to trade it in and get a new phone. That is not why they were doing what they were doing. But the Apple detractors are out there, and they’re in force, and this is what they are accusing Apple of doing. But, no. I’ve already explained what they were doing. There is one other Apple story, however. Folks, I’m gonna use what’s happening to Apple as an object lesson to media in general. And I’m gonna go through it very quickly. But this is an object lesson on how negative media can be initiated, promoted, created. Apple has as their biggest sales quarter the fourth quarter of every calendar year, the Christmas season, October, November, December. It is in those three months that they sell more iPhones than in any other quarter. And every year in January Apple cuts back on production of iPhones for the first quarter of the year because they just had their biggest quarter. They’re not gonna have as big a quarter in the second quarter as their first. And this happens every year. There are stories that show up in the international trade and in the American tech journalism industry, “Breaking news, emergency news: Apple cutting back production of iPhone. Phone might be canceled. Sales of iPhone in tank. Apple may have overshot. 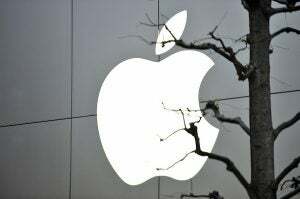 Phone too expensive.” The bottom line is that this coverage for three days knocked $46 billion off the Apple stock price. It drove the stock price down. It made people think that the iPhone X was a failure. It made people think that the iPhone X was gonna be discontinued. It made people think that Apple for the first time had built a lemon. And they were able to do this in three days. And it spread. Drudge links to this stuff, the Wall Street Journal picks this stuff up, the New York Post picks this stuff up. Nobody questions it even though every year Apple cuts back production on their brand-new phone in the first quarter of every calendar year, like clockwork. In the meantime, Apple sold a record number of iPhones in the fourth quarter in the United States. They sold 23 million iPhones. In the fourth quarter, that’s a record quarter for the United States. That doesn’t include worldwide sales. The phone’s not a lemon. It’s not a bomb. It’s not going to be discontinued. It might be discontinued because it’s gonna be refreshed. It’s not a mistake. And here’s the rub. Apple is forbidden by law to respond to any news about it in the 30 days prior to where they report their last quarter’s sales. So Apple reports this afternoon, at 5 o’clock Apple will tell everybody how their fourth quarter was. Companies are required to do this. Google will do this at the same time. Google and Apple report today. So any news that is negative about Apple or the iPhone dating back to January 1st, Apple cannot respond to it, by law! This is how bloodthirsty the competition is in capitalism, because I will guarantee you that these stories on negative sales, negative production totals, negative this about the iPhone are driven by Apple’s competitors. And they’re driven by Apple’s enemies in the media. And it happens to every company. And the bigger the company, the more it happens because the more people want to knock it off, rip it off its pedestal. And it just feeds on itself, when it’s standard, ordinary procedure that happens every year. And the same reporters report it! And the media reacts the same way. Everybody knows the game, and everybody’s playing the game. They react to fake news as though it’s real, and you can make book on it happening beginning in the middle of January, or even in December. And this same thing happens in the political media. This same, exact thing, phony narratives, fake narratives. It’s happening with this Devin Nunes memo. They’re literally making things up about it. That creates a narrative that the media can report. Then there are stories, then those stories get linked to by Drudge and carried to other newspapers and websites. And the thing just expands at geometric proportion. Meanwhile, Devin Nunes has to do what he can to respond to it, knowing full well that the people originally reporting the fake news are not gonna report his correction. And so now we’re living today with two fake news aspects about the memo. One is that Nunes rewrote it after everybody had read it. And the second fake story is that Nunes collaborated, cooperated with the White House to write it in the first place. He has categorically denied both. It doesn’t matter; the lies continue to be reported. The narrative has been established. And it’s for this reason that the amount of news, I don’t care where I read it, that I actually believe on first take is so tiny. And it’s an ongoing battle. The temptation is to believe everything, if it’s written. I mean, that’s how we’re conditioned. It’s printed, it’s written, it’s true. It’s published, it’s true. It says right there. Other people, “I saw it on TV. It’s true.” Wag the Dog. There is no war in the Middle East. “Yeah, there is. I saw it on TV!” No. It was made up to make you think it’s happening but — “No, no. I saw it on TV. I saw it in the New York Times. I saw it on CNN.” I’m telling you, it’s not true. This is how it works. This is how it operates. And people who are victimized by this have to come up with strategies to deal with it. Nothing is as it seemed to be when we were growing up. Just isn’t. 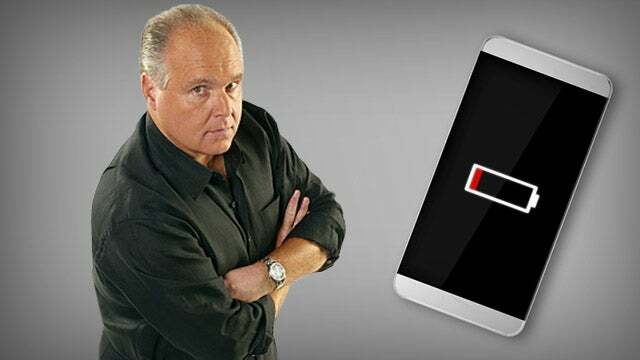 RUSH: Mr. Snerdley said, “Since Apple can’t respond to the lying press about their supposed bad news for 30 days before they report their quarter results, why can’t somebody sue these media people for tortious interference?” A, they’ve got the First Amendment, and who’s to say that these supply chain people are lying? I mean, that would not be the way… That’s not how it is dealt with. Here’s what’s gonna happen. What’s gonna happen is that Apple’s gonna report today, more than likely, record sales for any quarter in their history. They’re gonna report between $84 billion and $87 billion of sales. It’s gonna be a record. And the news will not reflect that. The news is going to be how in dire straits Apple is because the iPhone is a bomb, based on the cutback in production that — whisper, whisper — happens every year like clockwork. The way you have to look at this, if you buy Apple stock, is as a buying opportunity. When they run the stock down, you run in and buy it at those prices, ’cause it’s gonna come back up, because all of this reporting on Apple is BS. It’s all smoke and mirrors, and when I say their competitors are behind it? It’s not just Apple. This happens to every king of the hill in whatever industry. It happens in Big Oil business, happens in Big Pharmaceutical. I mean, all these stories about the opioid crisis, however true that is, you think there aren’t some companies being really damaged by this? You think maybe those stats might be being exaggerated? You just don’t know because you can’t trust the media. In the meantime, stock prices go up and go down and you never know if an Apple competitor is paying media to write this stuff. Actually, it is known that that happens. But you just have to look at this stuff — its cyclical, it happens every year — as a buying opportunity.